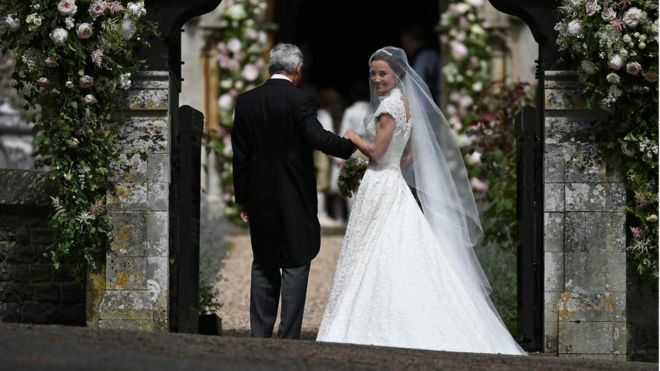 The first photos of Pippa Middleton as a new bride, in her wedding dress. 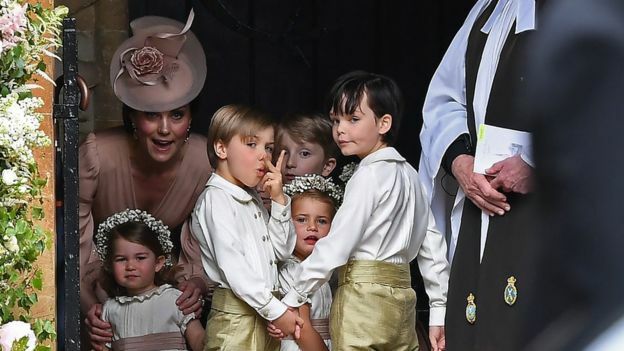 (All photos: AFP - see this link for more). Pippa Middleton, 33 wore a bespoke Giles Deacon dress, said to be crafted to create the impression of being seamless. 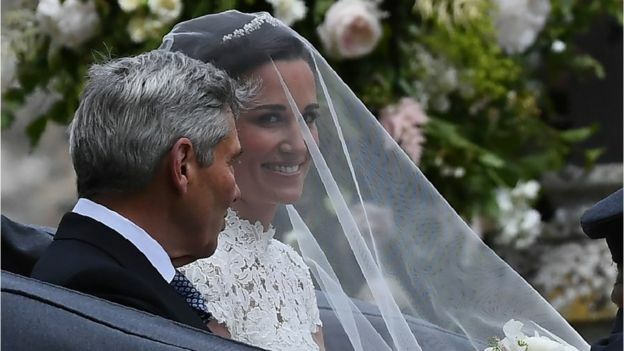 The wedding of Pippa Middleton and James Matthews, 41, was attended by guests including the Duke and Duchess of Cambridge of course (she is the younger sister of the duchess, and got engaged to Mr Matthews last year), and Prince Harry (yes, and Meghan Markle is said to be there), Princess Beatrice, as well as Roger Federer and his wife Mirka among the guests at the church.